Umar Saif is one of most accomplished personalities of Pakistan and no one can deny his services to advance ICT in Pakistan during his tenure as Chairman of Punjab Information Technology Board. He was responsible for starting Plan9 and ITU which have now center stage in Pakistan’s developing startup ecosystem. In his fireside chat during TechJuice Circle Islamabad, an event where veteran mentors guided young startups, he shed light on a number of topics ranging from his latest personal endeavors to the several complications surrounding startups. While he cited government’s policies for a weaker startup culture in Pakistan, he also identified some of the bad practices that have plagued startups. 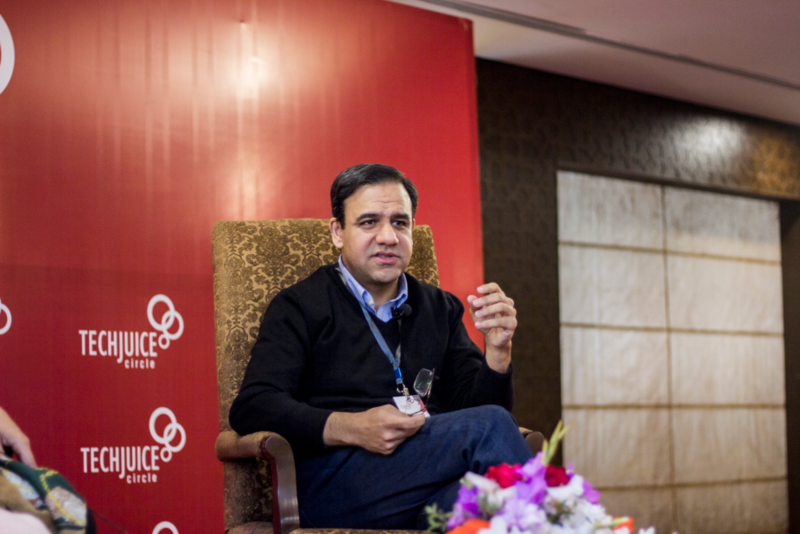 “Doing a startup is a bit of a science and bit of an art.” Umar Saif’s major concern was lack of experience in the new incubators and VCs. He said that simply because someone has a million dollars in their pocket does not mean that they are the right people to setup a VC fund. He said that for a successful investment they need to experience the startup culture. Umar Saif pointed out that there were several experienced people who really wanted to help the community and he urged people to seek their guidance. He said that inexperienced incubators and VCs were not only misguiding startups but were also pushing people who have been affiliated with such activities for a long time. Plan9’s success was rooted in its ability to actually help entrepreneurs. Reminiscing his time at Plan9, he said that the mentors would visit startups and discuss their problems with them. The idea behind Plan9 was to help them solve their problems. However, new incubators have started emerging and their approach is flawed. Rather than helping startups in meaningful ways, they would waste time in Photo Ops. This would help in promoting the startup but the real problems would remain unsolved. This attitude of spending more time with Photo Ops drives all the experienced people away from the startup as they view it as nothing more than a waste of time. If you don’t have a billion dollar idea, you don’t have a startup was the theme of Umar’s fireside chat. He said that young entrepreneurs are not in search of the billion dollar idea. He said that this could be because they didn’t think about global potential and tapping into new markets or could have been because the problem that the startup was solving wasn’t big enough. He wanted startups to work on problems that could scale globally and more importantly had the potential to be a billion dollar company.